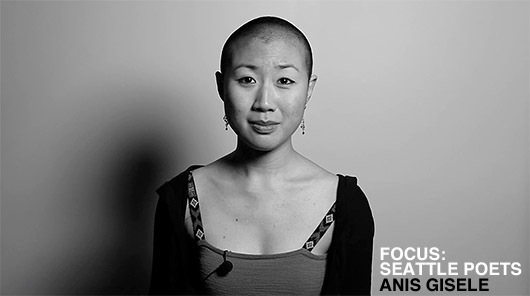 Anis Gisele is the fourth poet featured in the Focus: Seattle Poets series. You might call her piece, a piece of advice rolled up in a few well chosen words of comfort. Delivered passionately and with a sometimes sly smile. Please enjoy! This series of videos is an attempt to spotlight the local poetry slam scene and bring the performances off the stage and in front of a camera. We’re hoping a few people who would otherwise never experience this type of performance, will get a chance to and maybe even fall in love with this art form. As with every one of these videos, Another Passion members can download a digital copy to keep, using the link below. A big thank you goes out to Venkat Balasubramani and Focal PLLC, who provided all the legal help for this series. Not every lawyer is evil! Focal provided the necessary paperwork to make it possible for us to share these performances with the world, just because they’re cool that way. Next week we take a 1-week break from the Focus: Seattle Poets series, but don’t miss the final two performances — consider subscribing to our RSS feed, liking us on Facebook or getting the monthly e-mail. You are amazing! I would love to get in touch about collaboration. Anis Gisele is one of my best friends and her poem is beautiful! Thank you for all you’re doing with this awesome project!!!!!! !